cute, adorable, and it makes you want to go PEEP! 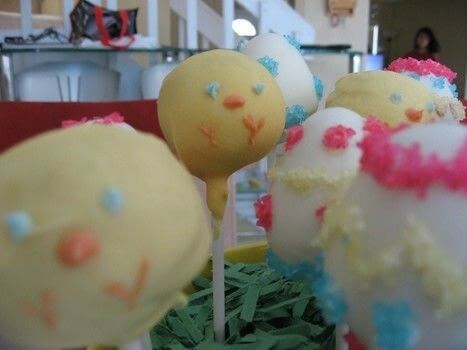 Simply follow directions on how to form/make the cake pops. 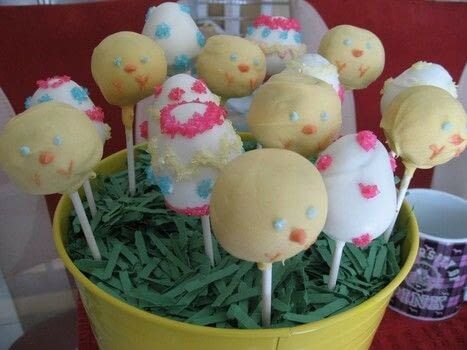 Once you have your cake pops in form, you'll want to pour the desire colored candy melts into a bowl and microwave according to the packaging. Once you're done coating, place the coated cake pops into a styrofoam block (to keep them propped up) and let dry. 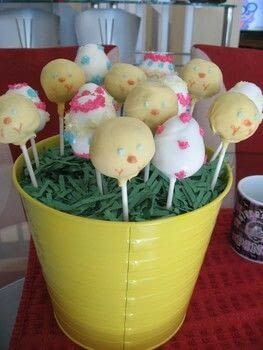 Once the candy melts have harden, it's time to decorate to your heart's content! Use sprinkles, more candy melts, M&M's; whatever you'd like! For the Easter chicks, I used orange and blue candy melts with the help of toothpicks to draw on the details. For the Easter eggs, I piped on the melted candy melts and covered it in sprinkles for some extra pazazz!